Derawan Islands (Kepulauan Derawan) are located off the eastern coast of Borneo (East Kalimantan Province) in Indonesia, in the famous Celebes Sea. Derawan is an archipelago with the main islands being Derawan, Maratua, Kakaban and Sangalaki, each island has something different to offer – Kakaban for the amazing Jellyfish Lake, Sangalaki for majestic mantas, Maratura for barracuda and Derawan for its unique macro life. Derawan Islands are part of the Coral Triangle, the liveaboard diving trips here offers abundant marine life with a huge variety of coral reef dives, caves, walls, and lagoons, Plus a chance to swim amongst millions of non‐stinging jellyfish in the fresh water Lake of Kakaban. Here you will find both large and small marine life in abundance: potential for thresher sharks, manta rays, white‐tips & nurse sharks, schooling barracudas, many turtles, and whalesharks! Derawan also contains the largest green turtle nesting site in Indonesia, making dives with turtles quite common. Th water temperature in this region is about 28°C year round, while the air temperature are between 27°C - 30°C. Although diving in this region is open all year round, the best time dive around this area is from June to mid August. Famous for the large gatherings of manta rays that use the islands surrounding colourful reefs as a cleaning and breeding ground, and it also has a turtle nursery run by the local government which can be visited. In certain conditions Whale Sharks can be seen off the coast of the island. It's well known for the stunning fresh water Jelly Fish lake fringed by virgin Mangrove forest, the jellyfish consist of four different species. They are non stinging, having lost their natural defense system because of the lack of major predators in the lake. The outer ring of Kakaban island offers sheer drops offs and walls to 180m, currents here can be strong with upwelling, downcurrent and reversing directions, it's a great place to encounter huge schools of trevally, barracuda, large tuna along with the possibility of Hammerhead, Grey Reef and Black Tip sharks. It's a large island with a massive lagoon and at least 13 caves with hundreds more that have yet to be explored. This is one of the most action filled destinations in the region, you will have a good change to encounter large pelagics like grey reef sharks, tresher sharks, hunting trevally, eagle rays, tornados of barracuda and schooling eagle rays schooling. This is an area known for amazing macro life such as satomi pigmys, sea dragons, ghost pipefishe, frogfish, blue ring octopus, harlequin shrimp and tiger shrimp. This is a macro haven with the weird and wonderful. The visibility around the island are usually not so good due to silt from the river in Tanjung Redeb. Спущенный на воду в 2011 году, комфортабельный сафарийный корабль Raja Manta приглашает дайверов в незабываемые сафари у Симиланских и Суринских островов. Яхта вмещает группу до 24 человек. Построенная из особо прочных пород дерева, 52-метровая трехмачтовая яхта Amira доставит своих гостей к самым удаленным уголкам Индонезии с непревзойденным комфортом. 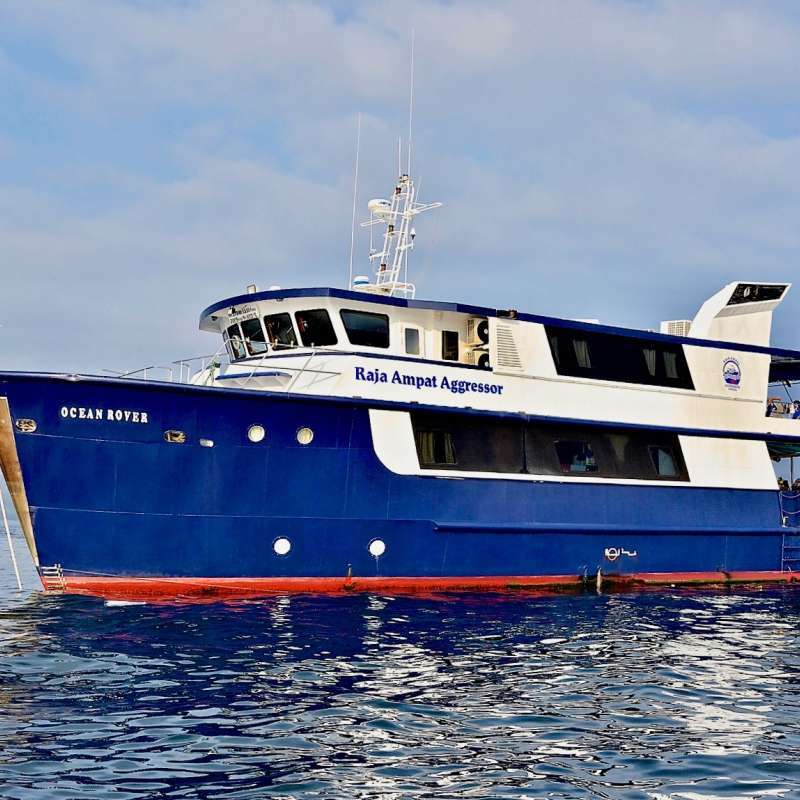 Raja Ampat Aggressor стал кораблем флота Aggressor в 2015 году, но уже с 2008 года совершал сафари в Индонезии. Помимо традиционных прелестей флота приятной особенностью яхты является расположение кают только на верхней и главной палубах. 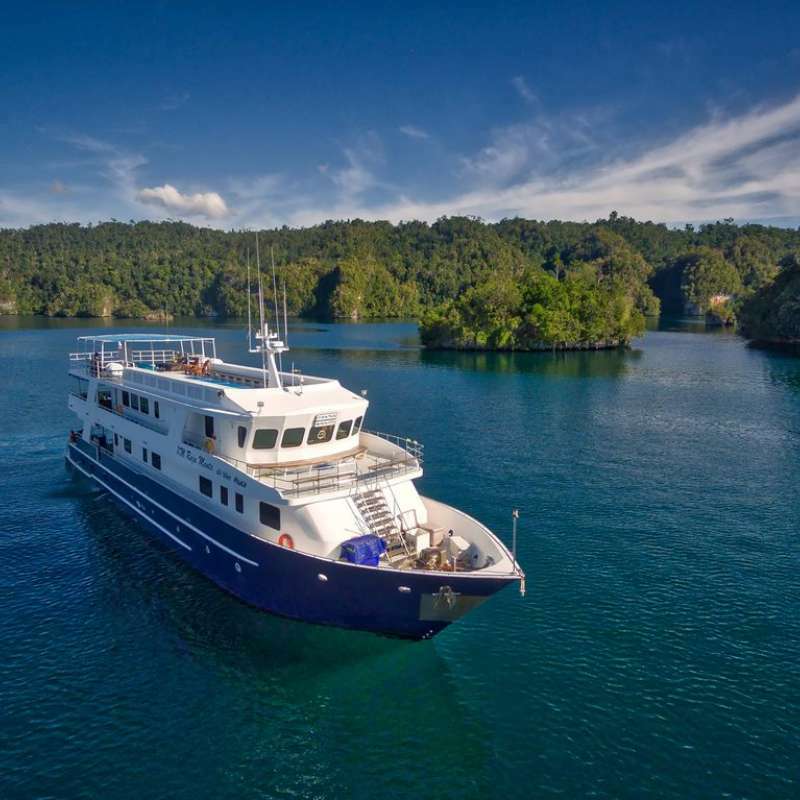 Wellenreng is a cozy wooden liveaboard runs by a German team, it offering dive liveaboard trips all around Indonesia according to the season, it can accommodate up to 6 divers / 7 non-divers.